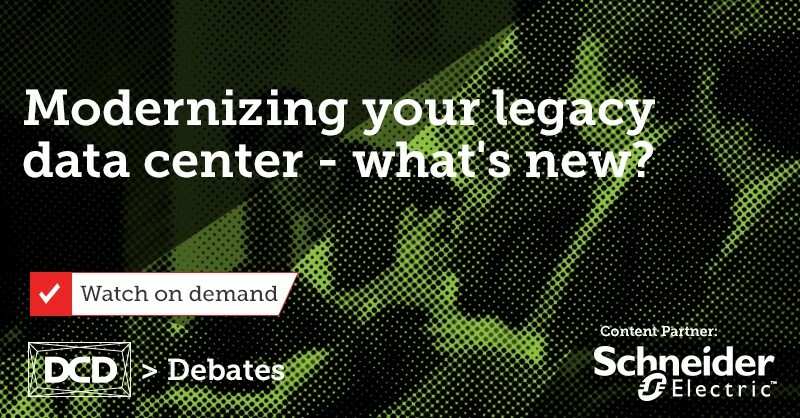 If you missed the latest Data Center Dynamics Debate, you missed a lot! Fortunately, it’s not too late to check out DCD’s most successful and well attended online debate. No matter what stage you’re at in modernizing the data center, this expert-level discussion will help you plan next steps. Moving from reactive- to condition- to proactive- and finally predictive-based maintenance to maximize infrastructure investment while obtaining the highest availability. New technologies like EC fans can be deployed in both the white space as well as the heat rejection. This allows HVAC to run more efficiently with higher resilience. CFD modeling can be used to make ensure no single points of failure in cooling and airflow capacities to varied IT rack loads. Newer longer life battery solutions like Lithium Ion and kinetic energy stores can reduce maintenance costs while extending the life of your energy store. Conditioning power for the entire facility and making use of KVAR rather than losing it to ground or utility will yield big benefits.